Last year we reported that the BBC was going to produce The Last Kingdom, based on Bernard Cornwell’s best selling novels. Next month the series premieres on BBC America. 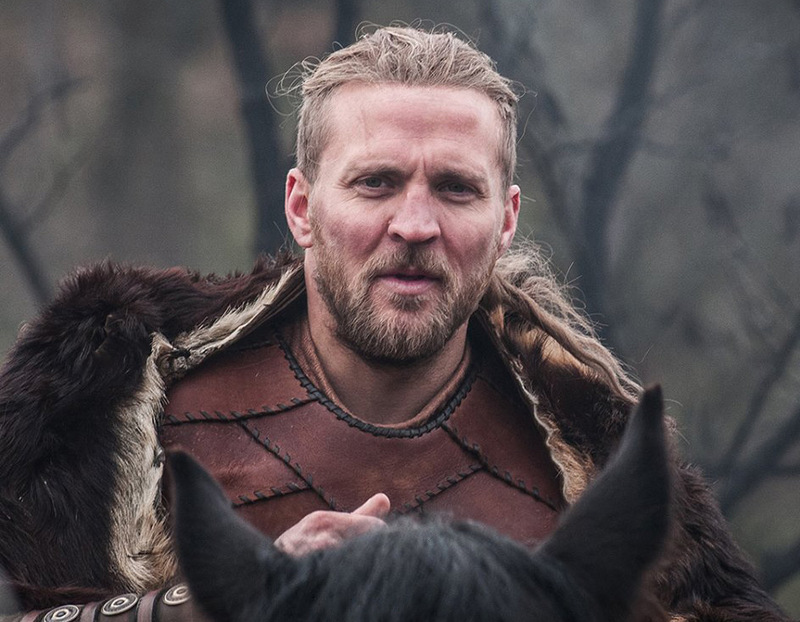 Set in the Viking age and expected to compete with Game of Thrones and Vikings, the new historical action series tells the story of how England was formed. The year is 872, and many of the separate kingdoms of what we now know as England have fallen to the invading Danes, leaving the great kingdom of Wessex standing alone and defiant under the command of King Alfred. 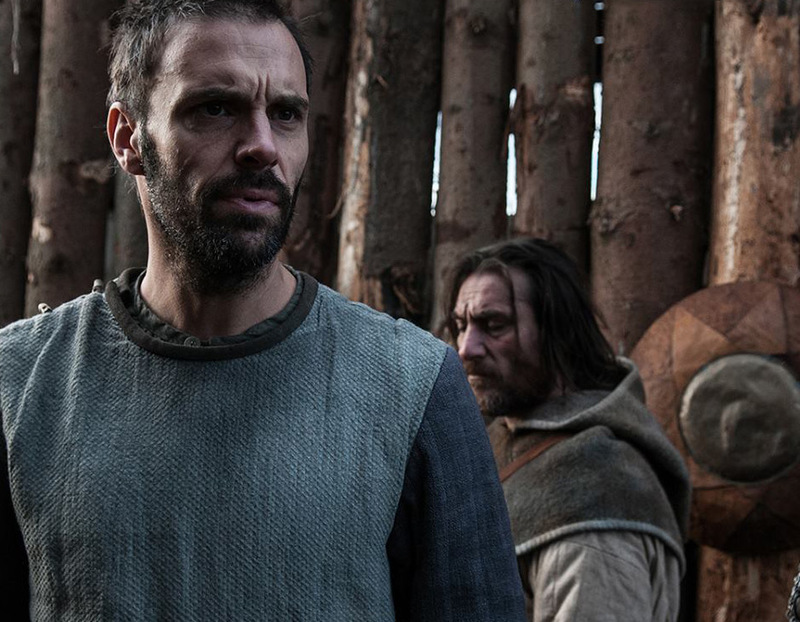 Against this turbulent backdrop lives our hero, Uhtred. Born the son of a Saxon nobleman, he is captured by the Danes and raised as one of their own. Forced to choose between the country of his birth and the people of his upbringing, his loyalties are ever tested. What is he? Saxon or Dane? On a quest to reclaim his birthright, Uhtred must tread a dangerous path between both sides if he is to play his part in the birth of a new nation and, ultimately, recapture his ancestral lands. -Cornwell’s Saxon novels combine historical figures and events with fiction in an utterly compelling way. We believe it will make original and engrossing television drama. In part the epic quest of our hero Uhtred, it is also a fascinating re-telling of the tale of King Alfred the Great and how he united the many separate kingdoms on this island into what would become England, executive producer Gareth (Downton Abbey) Neame said. He warned against comparing the new show to Game of Thrones, though. -I’m a huge admirer of Game Of Thrones but that is fantasy. We have no dragons. The facts behind [our show] are true. [What they have in common is the action and the battles] but this has a much more documentary feel about it. If you must liken The Last Kingdom to another TV series, go with Downton Abbey or The Tudors, Neame added. He went on to say he was inspired by The Tudors, which was developed in the US. Neame thinks that that show could never have been made in the UK, since the British “can be so obsessive about our history and getting it right”. Neame also said that making a Viking show about ye olde England was a challenge, as no buildings and no paintings exist from that era. -For people in the United States, England is that place that’s always been there. The idea that there was a time before it even existed was intriguing to me. The first English king wasn’t painted until hundreds and hundreds of years after this time. Uhtred’s father, Lord Uhtred, is a formidable fighter and leader of men, and ruler of the kingdom of Bebbanburg in Northumbria. He is a serious and rather distant man whose commitments to Bebbanburg leave little time for his two sons. Young Uhtred struggles to win his father’s affection and approval. Born of Saxon nobility but raised a Dane, Uhtred grows up with a conflicted identity. A natural warrior, Uhtred is a leader of men, fearless, instinctive, and driven by a deep-seated need to reclaim his homeland of Bebbanburg, Northumbria. Quick-witted, impetuous with a taste for danger, he follows his gut and abhors the prayer, fasting, and obedience so precious to King Alfred. Like a Dane he believes life should be lived passionately and fully. He has charm, energy, charisma and an underlying sense of justice — qualities which make him very attractive to women. But his impulsiveness and irreverence sometimes land him in trouble. As the King who dreamt of uniting the separate kingdoms of England, Alfred has integrity and true gravitas. 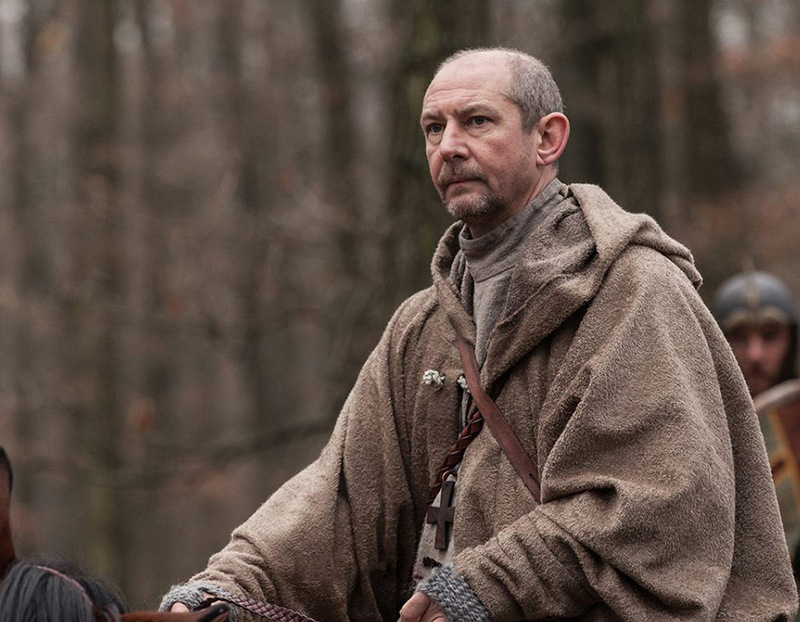 Where Uhtred is gallant and daring, Alfred is a thinker and master strategist, yet troubled by poor health. A man of great wisdom, he is committed to the power of the written word and the spread of Christianity. Learned, pious and cautious — the responsibilities of leadership rest heavily on Alfred’s shoulders, but his faith and inner strength are forever tested by his habitual infidelities. Despite these vulnerabilities he remains determined. Even Uhtred, who first sees Alfred as a humorless nit-picker, grows to admire the man who will become known as King Alfred the Great. 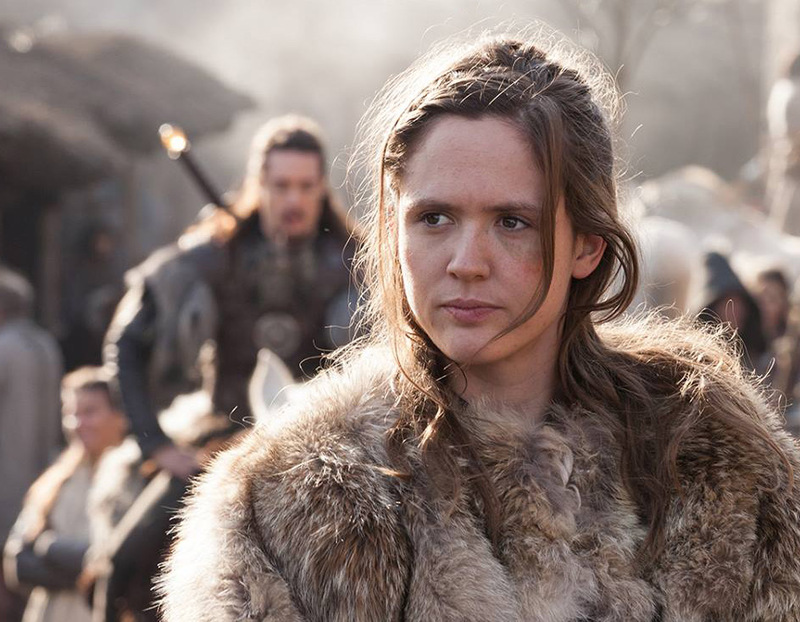 Alongside Uhtred, Brida is captured as a child and raised by Danes. Brida and Uhtred’s similar fates bind them as kindred spirits; the two become best friends and lovers. Fearless, gutsy, outspoken, and a born fighter, Brida immediately feels at home in the boisterous world of the Danes. The most senior ranking Dane, Ubba is a mountain of a man — loud, brash, violent, playful and a little unhinged. A ferocious warrior, Uhtred is warned as a boy never to fight Ubba, but fate may dictate that he must. Ubba’s weakness is his superstition and his reliance on his sorcerer Storri. 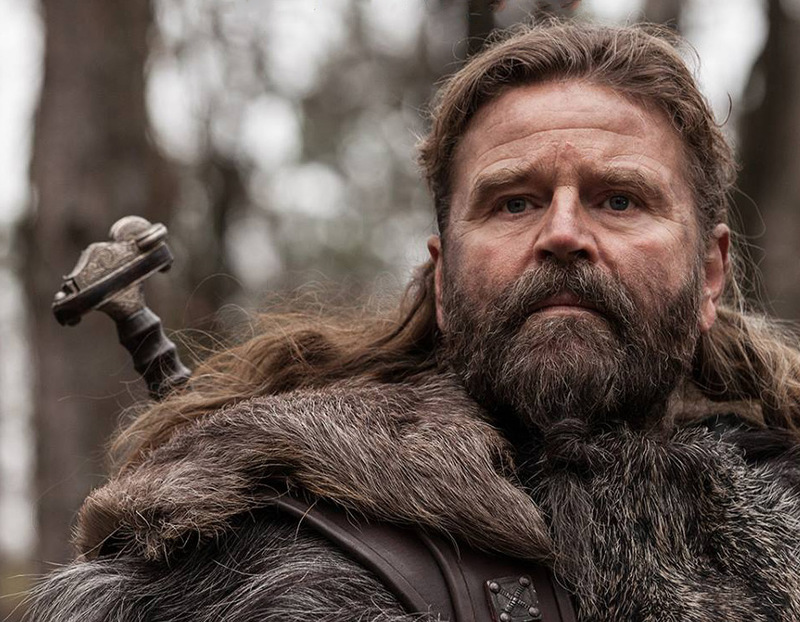 A formidable and infamous Danish warlord, Earl Ragnar is fearless, charming, and a natural leader — but also a warm-hearted family man. 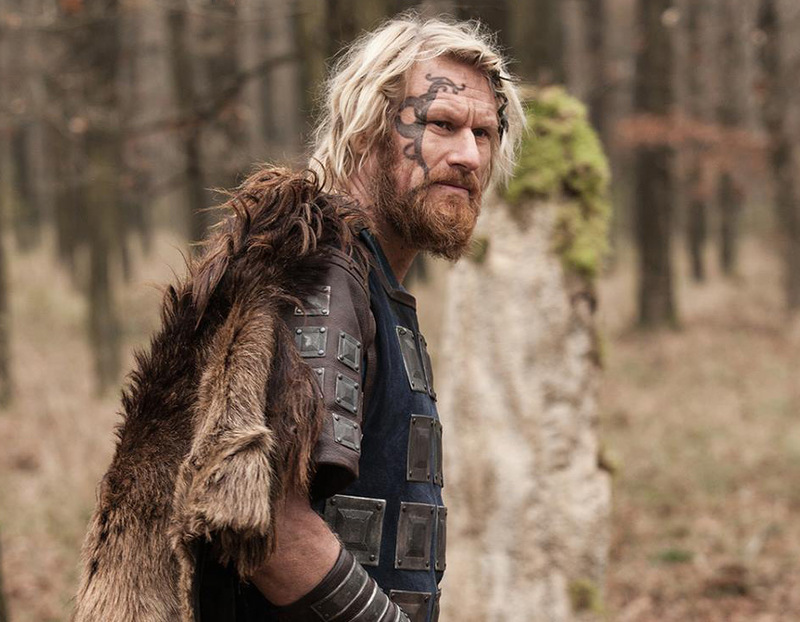 Devoted to his son, Ragnar the Younger, he doesn’t hesitate to also take Uhtred under his wing, seeing spark and courage in the Saxon boy. Uhtred sees Ragnar as his true father. Alexander Dreymon (American Horror Story) leads the cast, supported by Emily Cox (The Silent Mountain) as Brida, David Dawson (Peaky Blinders) as King Alfred, Rune Temte (Eddie the Eagle) as Ubba, Matthew Macfadyen (Ripper Street) as Lord Uhtred, Rutger Hauer (Blade Runner) as Ravn, Ian Hart (Boardwalk Empire) as Beocca, Tobias Santelmann (Point Break) as Ragnar the Younger, Peter Gantzler (Italian For Beginners) as Earl Ragnar, Adrian Bower (Mount Pleasant) as Leofric, Joseph Millson (Penny Dreadful) as Aelfric and Henning Valin Jakobsen (The Bridge) as Storri. The directors of season one’s 8 hour-long episodes are Nick Murphy (Prey, Occupation), Anthony Byrne (Mr Selfridge, Ripper Street), Ben Chanan (True Horror, Cyberbully), Peter Hoar (Da Vinci’s Demons, Vera). Production began last November, and the series was shot in Hungary, Denmark and Wales, based on a script by BAFTA nominated and RTS award-winning writer Stephen Butchard (Five Daughters, Good Cop). Made by Carnival Films (Downton Abbey) for the BBC network, The Last Kingdom is a show of “heroic deeds and epic battles but with a thematic depth that embraces politics, religion, warfare, courage, love, loyalty and our universal search for identity”. Combining real historical figures and events with fictional characters, it is the story of how a people combined their strength under one of the most iconic kings of history in order to reclaim their land for themselves. Bernard Cornwell’s The Last Kingdom-novels was first published in 2004, with new installments coming out almost every year since. The 9th novel Warriors of the Storm is scheduled to come out October 9th this year. 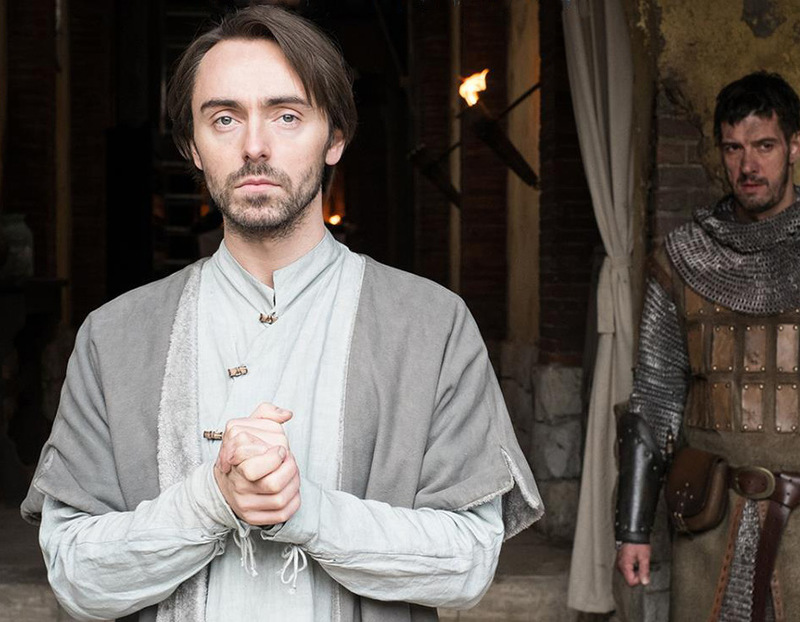 The Last Kingdom starts on Saturday October 10 on BBC America and later in the UK on BBC Two. 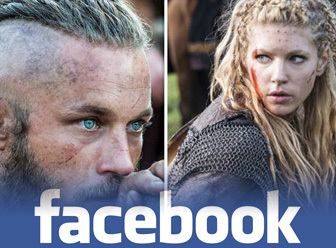 More information on Last Kingdom series! Ugh WHY on earth does the UK get this “later?” I have been raving about this show to American firends yet they get to see it first? I get you. I don’t know why there is a delay. Maybe the Americans paid more. Perhaps, but it makes me sad. I got the first few books as preorders years ago so it’s a real shame. Excited yet concerned with Uhtred as a character.